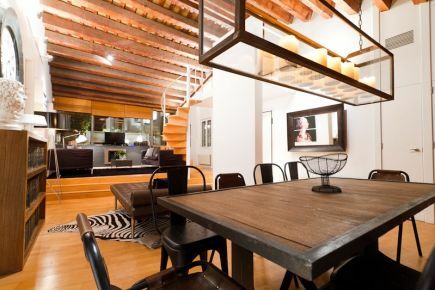 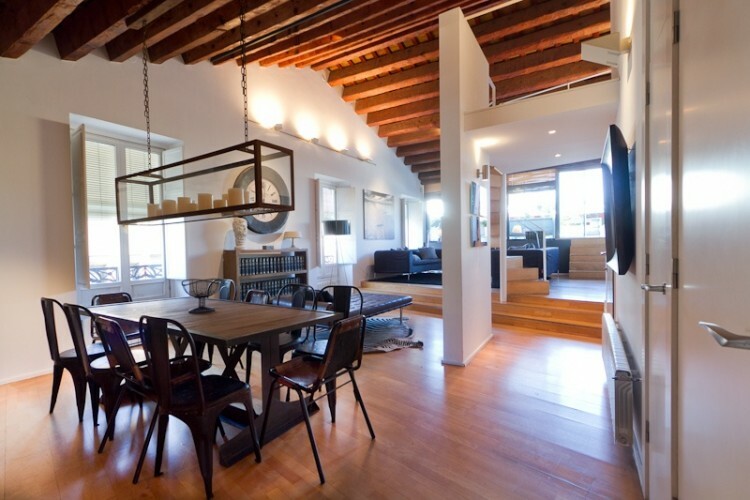 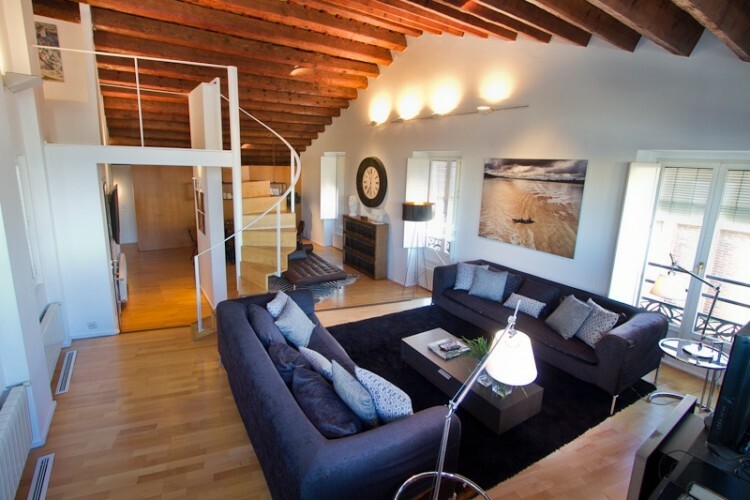 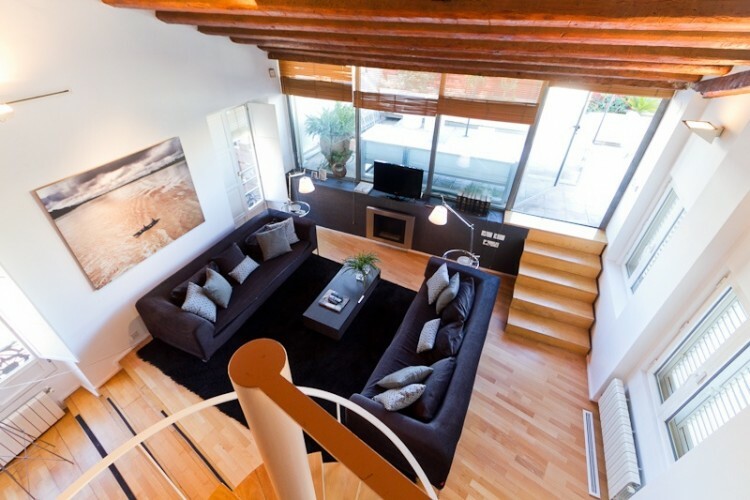 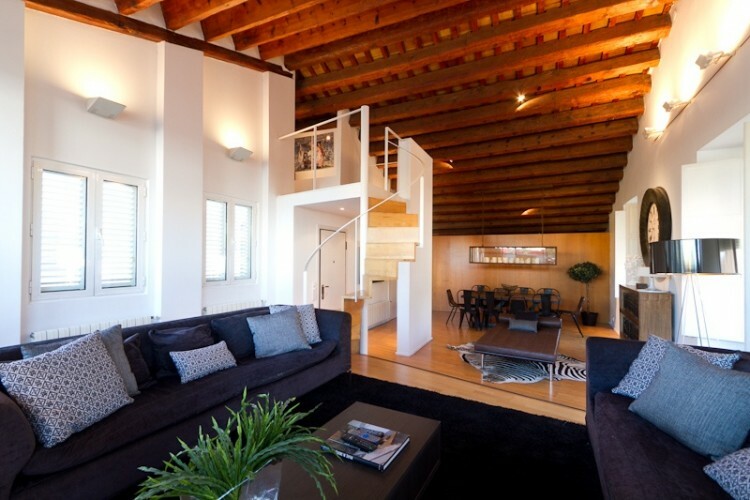 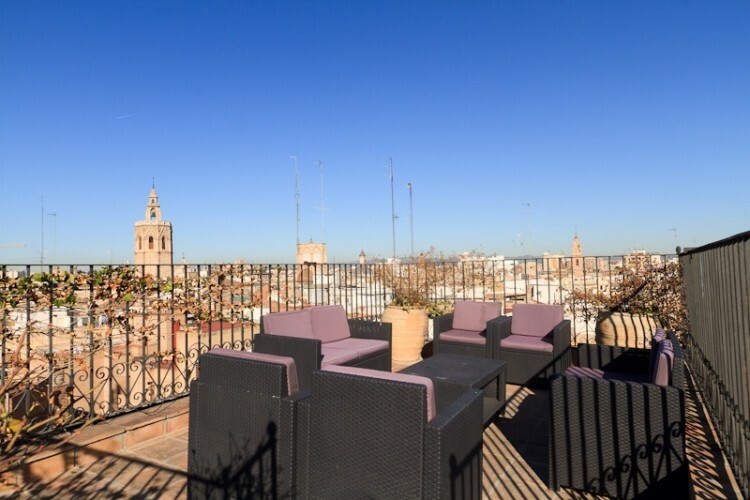 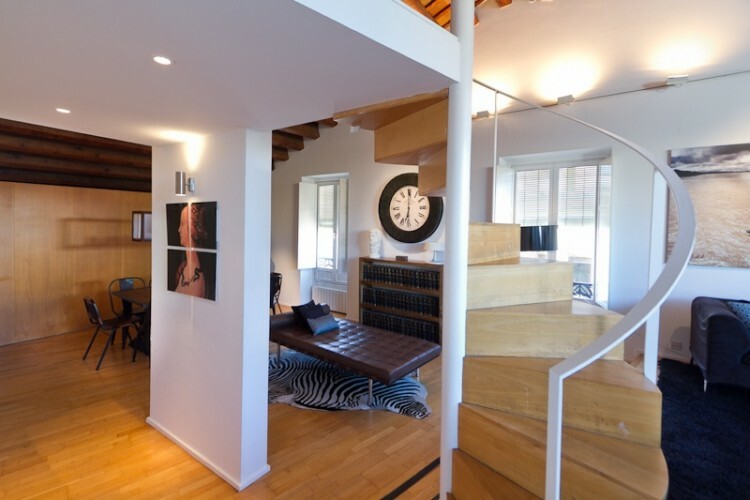 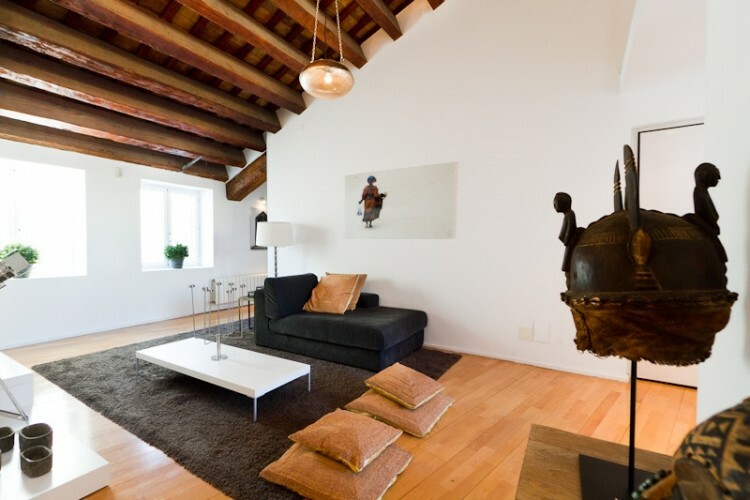 Stunning penthouse located in the heart of the city center, a few meters from the Plaza de la Reina and the Cathedral. 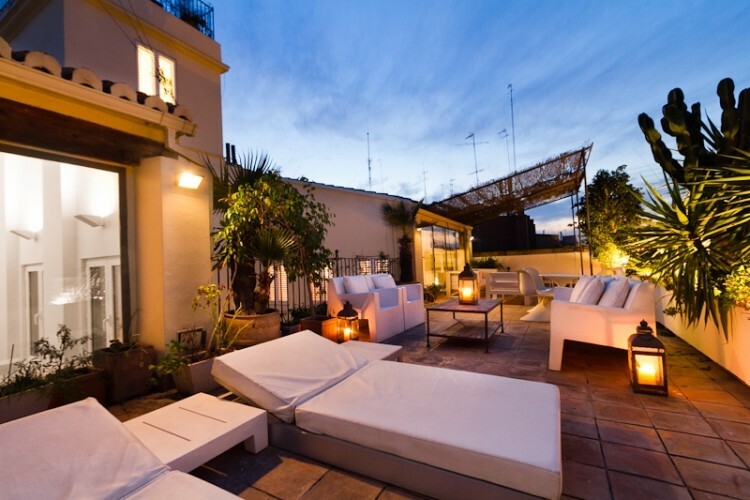 Surrounded by many restaurants, bars, shops and boutiques. 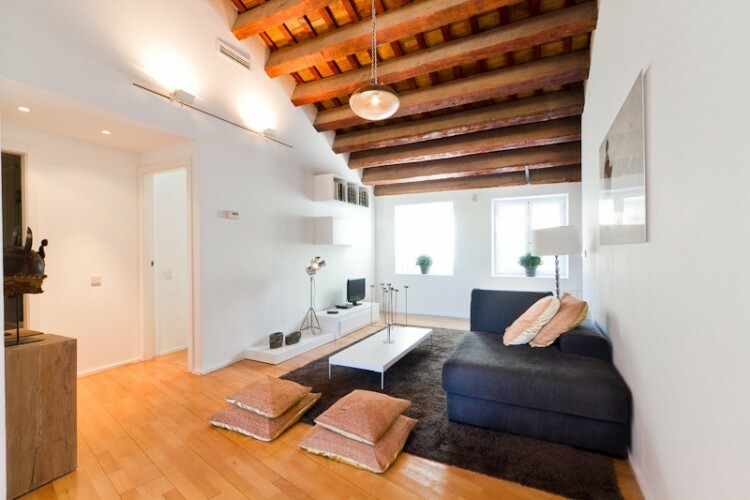 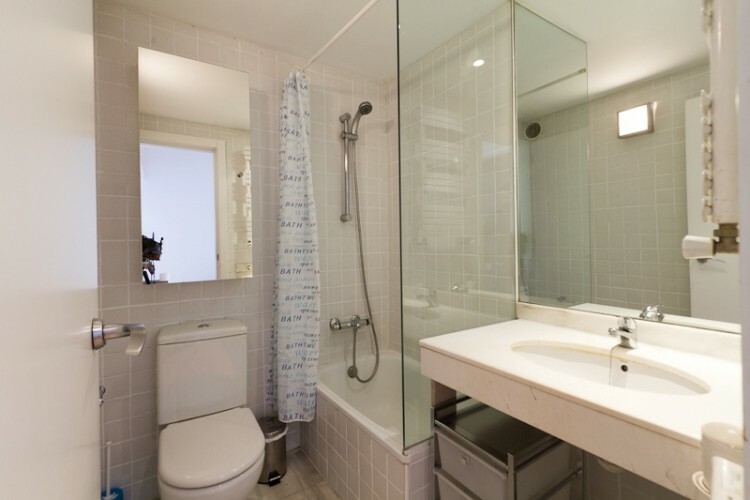 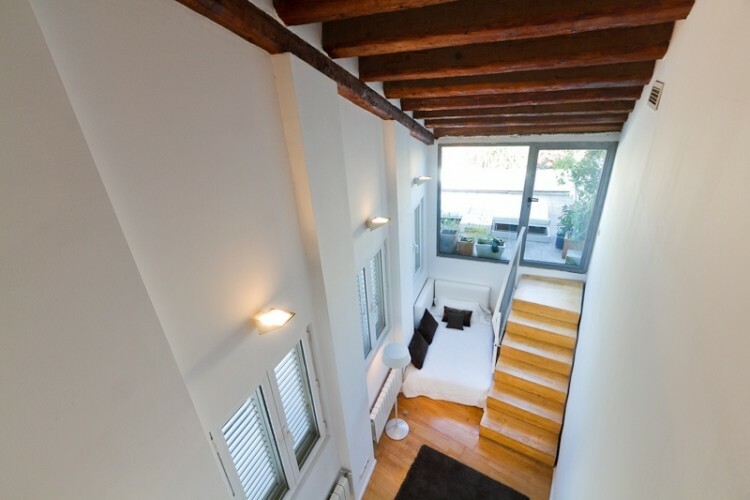 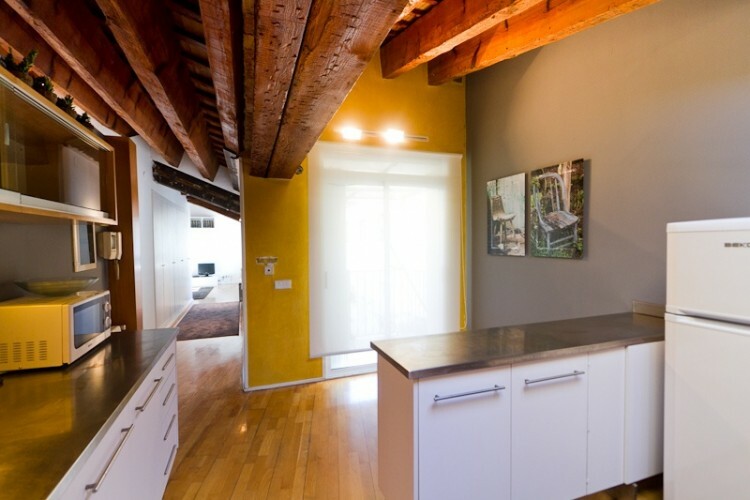 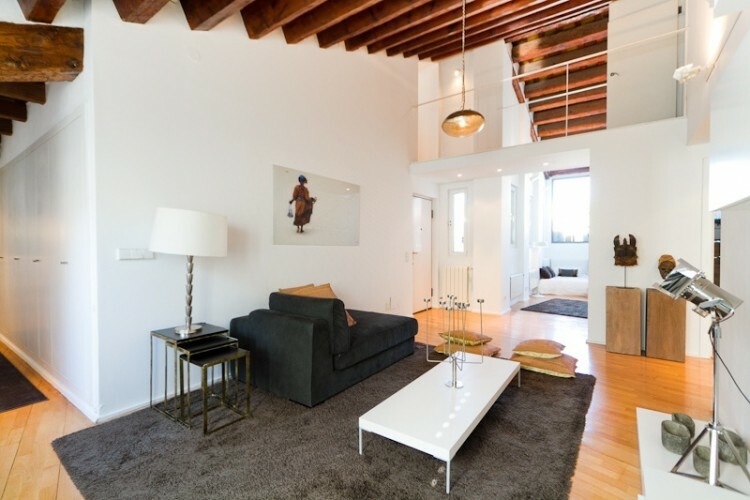 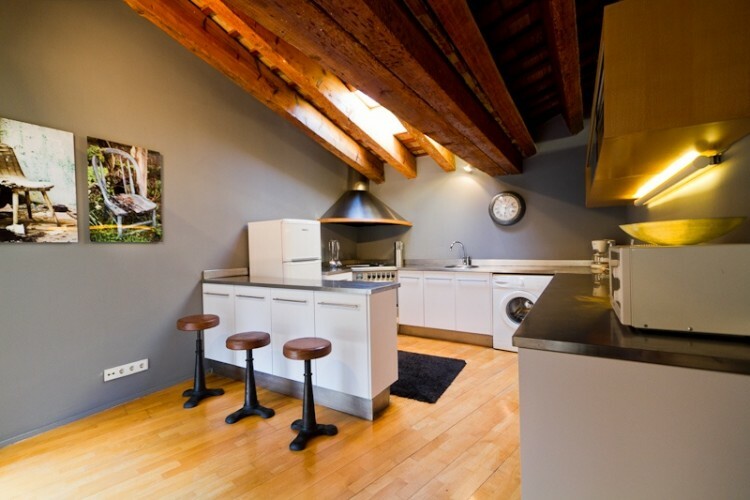 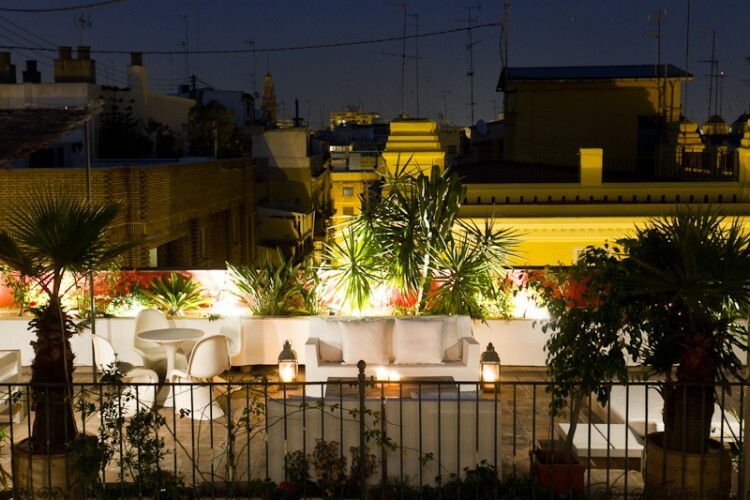 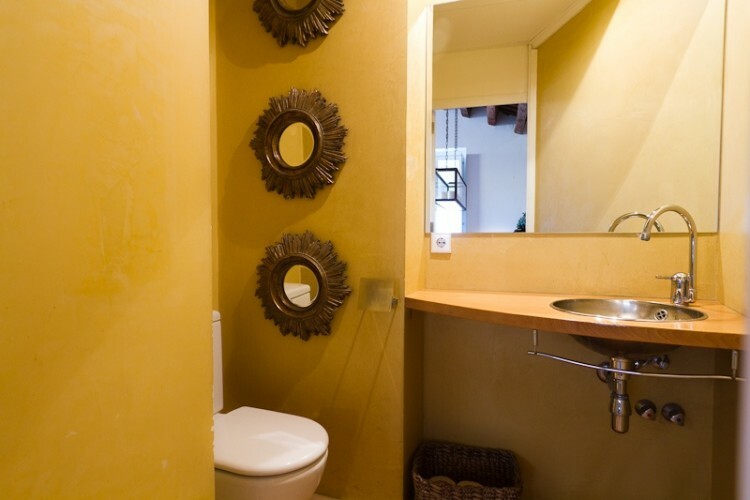 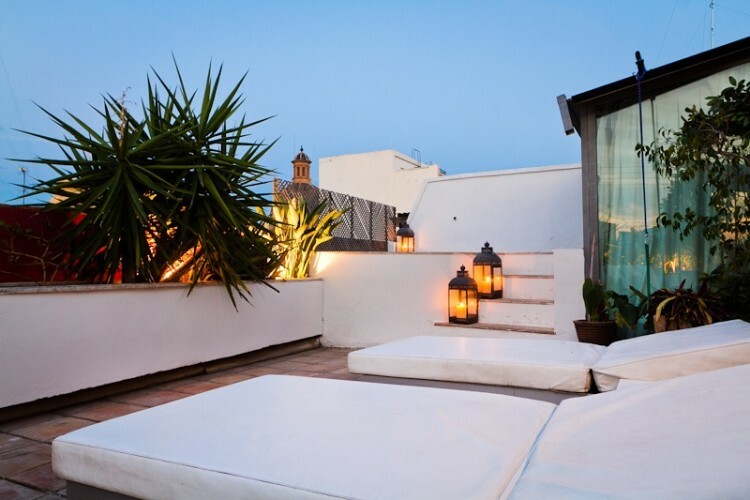 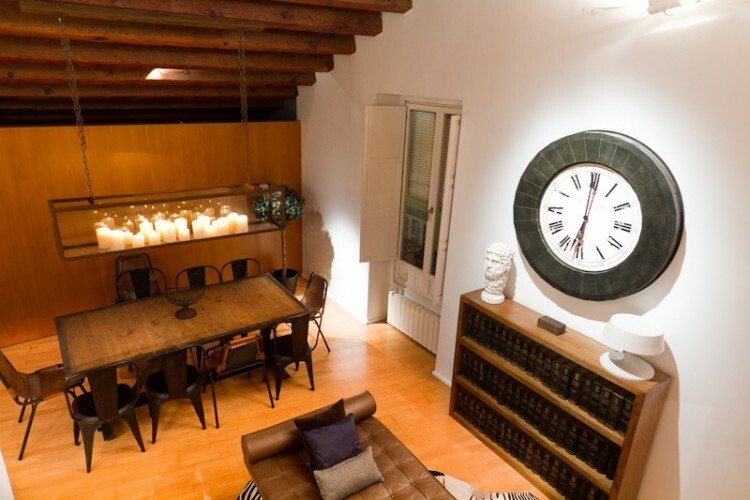 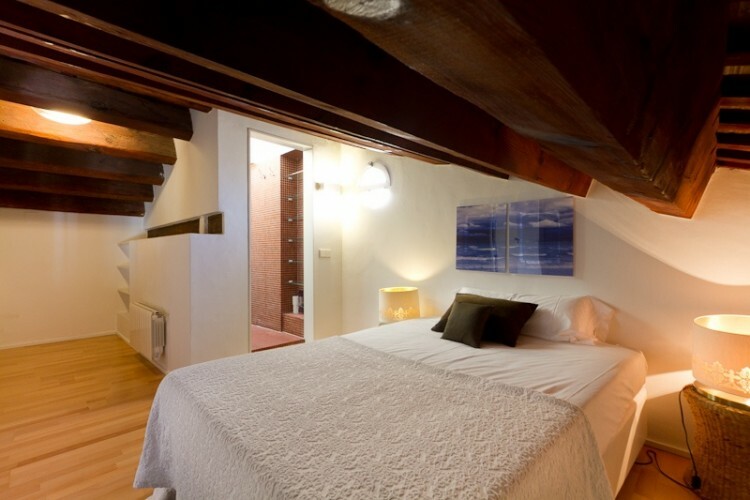 With its perfect location between the Ciutat Vella and the Barrio El Carmen. 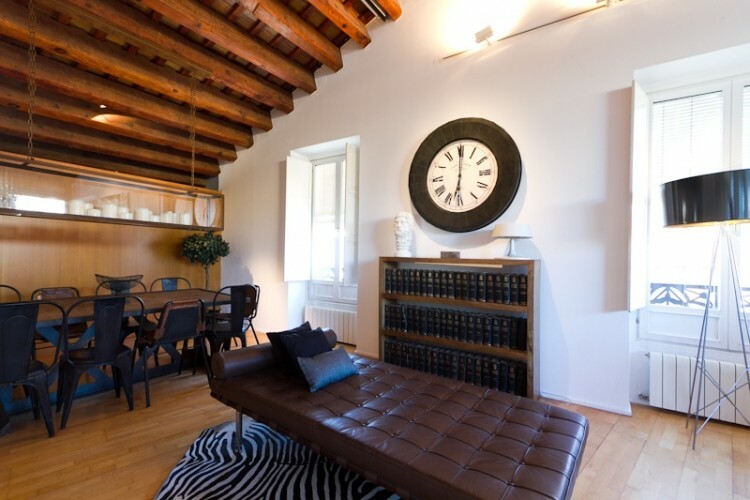 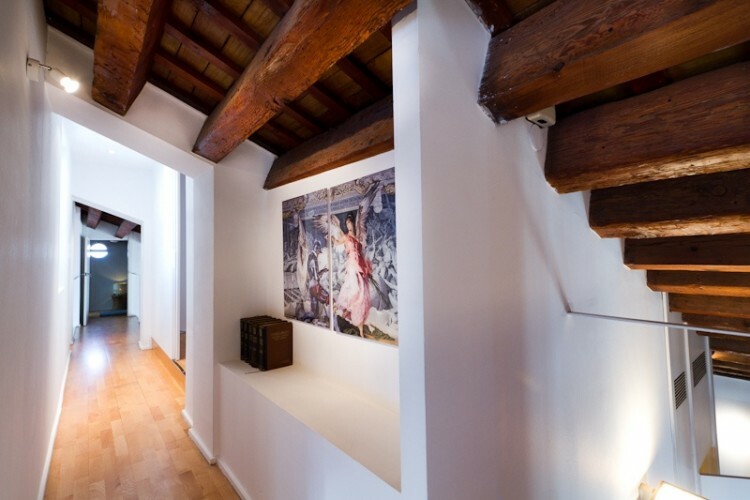 The apartment combines contemporary style in its decoration, with important original classical details such as large wooden beams. 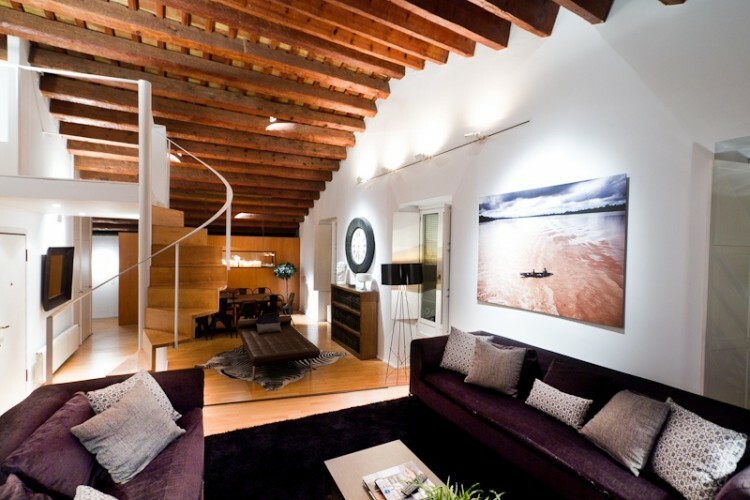 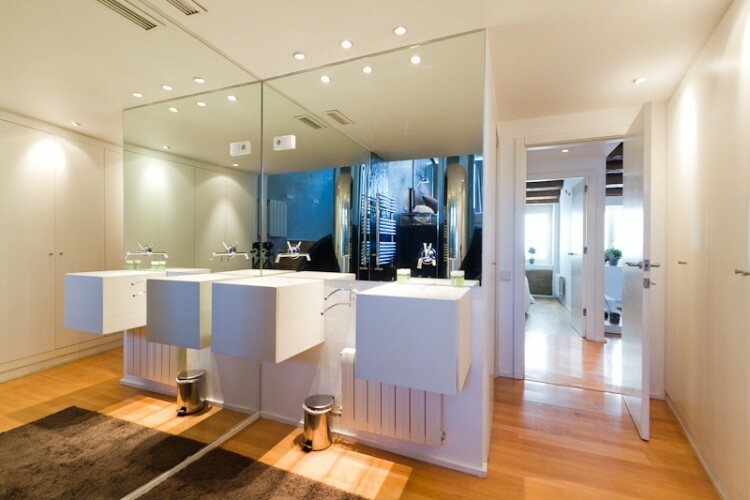 The 350 m2 of this magnificent penthouse. 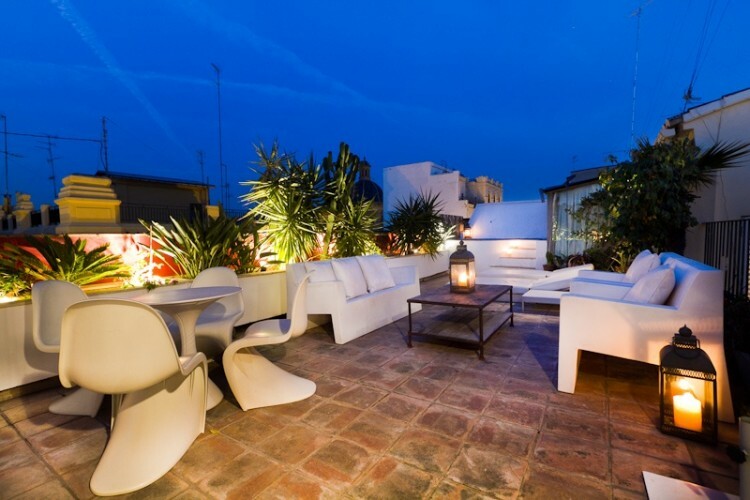 By its impressive size and its large terrace garden, this penthouse is definitely perfect synonym of a villa in the center of Valencia. 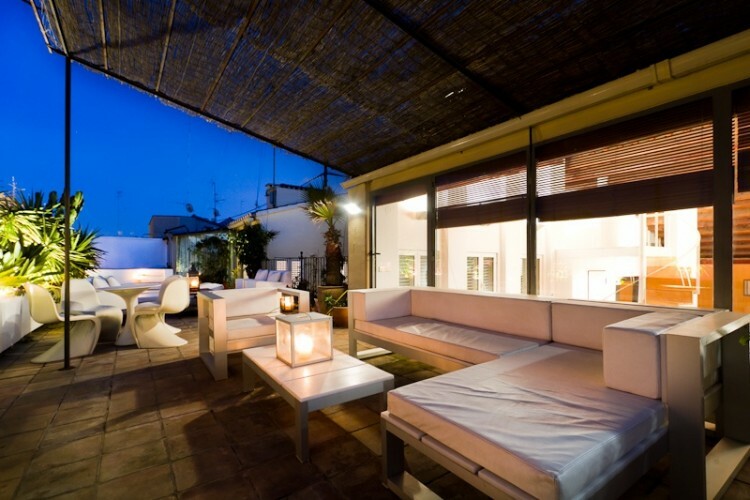 This is the best possible option for families groups of friends who want to enjoy their holiday together. 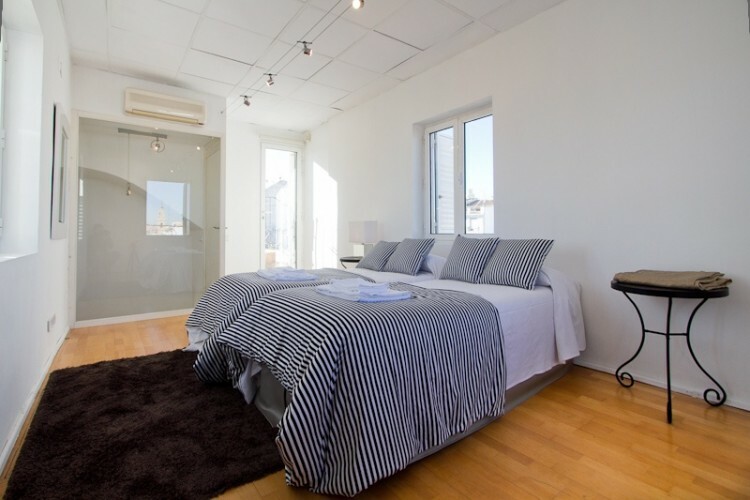 - 3 Double beds, 9 Single beds, 1 Extra bed. 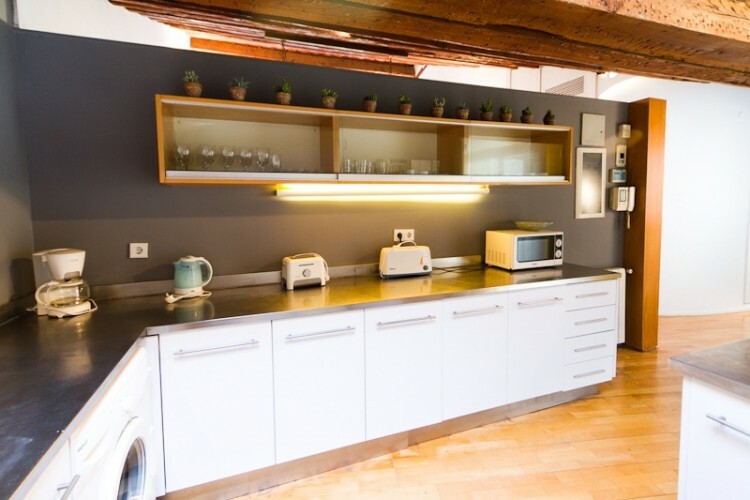 - TV, DVD, 5rd floor, lift, garden furniture, terrace, iron, safe, internet (Wi-Fi), hair dryer, 400 m² property, access without stairs, central heating, air-conditioned.